You can update the setting to "sync option schedules" and the system will only allow a member to choose options that correspond with the same schedule as their share choice. Click the edit button, then check the box to "sync option schedules", and push save. 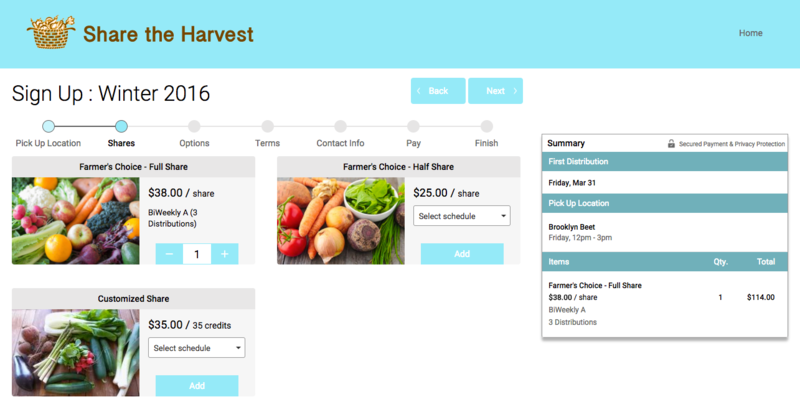 When the member chooses their share or shares, the system will only let them choose options that correspond with those schedules. For example if a member chooses a Bi-Weekly Subscription, then the system will prompt them to choose any options on the same Bi-Weekly schedule if they choose a different schedule for the option.